Remember in February when I said I’d created a weekly way to share the good called Awesome Nuggets? No? Of course you don’t. Why would you? I didn’t do a good job with it at all. I kept it up for a month and when a thousand people didn’t immediately start posting little gems of goodness on my Facebook page I gave up. Shame on me. I know a few wonderful people, Traci York in particular, joined me each week. I heard from a friend or two that seeing the post made them more aware of good things happening to them or around them. But, that wasn’t enough encouragement for me to keep it up. However, that doesn’t mean the idea is a bad one. It just means other people are doing it already, and doing it better. There are gratefulness journals and Ten Things of Thankful and many others. I think we could all continue to offer praise to others, and open up our awareness to the everyday good around us. Oh yes, I definitely think so. But I don’t think you need ME to provide that opportunity for you. That’s where I messed up: I created a solution for a problem that didn’t exist while ignoring the actual problem. What is the actual problem? I’ll tell you. I, Angela Noel, need a venue to share all the awesomeness I see around me. I need to share it. Because in sharing it, it feels real to me. It shines a light in dark corners. I understand things better when I share the good, out loud or in print. In this, I am as selfish as they come. So my Weekly Way to Share the Good will morph to an occasional gushing post about all the random goodness I’ve seen lately. I’d be absolutely DELIGHTED to have you contribute what you’ve seen. I love living those experiences through your words. I’d like to hear more about the beautiful little somethings you see wherever you may be. I was running on a trail surrounded by prairie grasses and wildflowers. A giant moth flew up in my face and came at my eyeball on a suicide mission. My eyelid closed just in time to keep the moth out. Thank you, eyelid. You’re amazing. Moth: Quit attacking people’s eyeballs. Not cool. The prairie grasses that hatched an eyeball-attacking moth. On a mission to run an errand I didn’t want to be running, I glanced to the side of the street as I drove in an unfamiliar neighborhood. An older gentleman of grandparent age pushed a stroller with an infant sleeping peacefully inside. He smiled, maybe he even hummed, as he walked along. I love that. I ran eight and a half miles, a personal best distance, without dying. Hooray! My kid said, “You’re the best mommy because you give me the things I need, some of the things I want and all the love you have to give.” Obviously, this definition applies to lots of moms and dads out there–everyone I know in fact. And that’s a pretty great thing. One of my favorite people had a scary night, but came home the next day to smile and laugh again. First, decide on a longterm goal or aspiration. Second, make a list of things you can do in five minutes (max) that contribute to reaching that goal. Finally, do any three of those five-minute activities every day. For instance, I want a writing career. My list has things like, “Read an article from Writer’s Digest.” Or “Research an agent’s list.” Or “Write a scene or a page for any WIP (Work in Progress–like a short story or one of my novel projects.) I LOVE this incredible idea and it’s super fun and easy to commit fifteen minutes to move the needle on my longterm goal forward just a little bit in the midst of everything else–you know LIFE–that goes on around me. I received my “Most Inspirational Blogger” runner-up certificate from the incomparable Sacha Black and her team (Geoff LePard, Hugh Roberts, and Ali Isaac.) They could have sent a PDF, but they sent the actual signed certificate, which costs money, all the way to me. Now I get to look at it on my little writer’s desk and feel happy and humbled and grateful every day. I had a twenty minute conversation with a six-year-old who sat next to me on a grassy slope in the sunshine. She told me her favorite color is purple and her favorite food is bacon. She asked me to tell her a story, and I did. An unknown neighbor brought our trashcans in when we were away on a camping trip. A mountain peeks through the clouds in Alaska. I’m lucky enough to work for a company that has a fully-staffed gym in the building. Free membership for employees and expert advice coupled with creative programming make this one heck of a benefit. For instance, the current challenge, dubbed “The Biggest Winner,” requires teams to earn points by completing various workouts and activities. Together with being fun, the six-week game encourages healthy effort and teamwork. My teammates, Erica and Julia, rock. Even if we don’t win. We win. My friend Shannon and her husband became foster parents for the first time. Shannon has an incredible way of asking for what she wants, without attachment but with steely resolve. She wants to impact people, especially women. She marches towards her dream and takes others with her, arm and arm. My great uncle and aunt were the guests of honor at a family party celebrating their ninetieth, and eighty-ninth birthdays respectively. In addition, they had a wedding anniversary coming up–their sixty-first. They have an unreasonably high opinion of me, which says more about their kindness than any true merit of mine. Even though I met most of them for the first time at this event, their children, grandchildren, and friends, welcomed my family like we’d spent holidays together for the last forty years. Being among them is like eating warm, fresh bread right out of the oven. My great aunt Ginny and great uncle Nick with me at their birthday/anniversary celebration. My husband and I attended out very first National Night Out with our neighbors. As a result, we met beekeepers, grandparents, children, gardeners, and someone who wants to give me new car mats for free. Neighbors are awesome. Here are a few blog posts (mind you, these are only a few, there are so many good ones) that I’ve enjoyed lately. Weaving a Story: A Journal, a Loom, and a Corn Cob Pipe by Erin Burton of Unbound Roots. Proven Strategies for Building my Blog Community by Gabe Burkhardt of (Almost) Unsalvageable. An Open Letter to George R.R. Martin by Kate Bitters of The Bitter Blog. Take a Letter, Miss Henry by Alice of Lutheranliar Looks at Life. Just Another Book Club-July Book (All the Lights We Cannot See by Anthony Doerr) by theBeasley of Just Another Blog (from a woman who’s just entered her 40s). How to Work for Your Favorite Rapper by Hospey of Hospey How To. Weddings, Passion and Self-Conscious Creativity by Shaun Kellett of Clockwork Clouds. An Observation on the Perception of an Arbitrarily Defined Convention on Dynamic Stasis. That’s my list for now. But I’m keeping my eyes open. I hope you are too. If you’re a blogger, please add a link in the comments to any of your own posts that talk about your favorite things, or anything you’ve noticed lately that made you smile. If you’re not a blogger, or are and don’t have a post you want to share, just add a note about anything you’ve seen or experienced lately that lights you up. 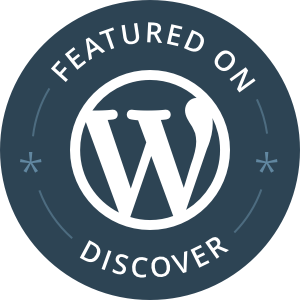 I love your idea…great way to share with fellow bloggers. This is one of my recent posts of a stay in the French countryside. Awesome, Lorelle! I’m so glad you shared this post. And–it makes me want to visit the French Countryside (even more). Thanks, Alice! Every time I get one of your posts, I settle in for a few minutes of pure enjoyment. You’re a true delight. Thanks so much for the shoutout Angela! Your blog would be on my list of awesomeness of course. Plus the other day when my daughter held my face in her hands and said “you’re so pretty” (I think I’ll keep her). Oh my gosh! I love that sweet moment. Thank you for sharing that. And, of course, for being you! Angela, I hope it’s okay that I call you my “writing mentor”. You have no doubt introduced me to the writing world, guided me toward incredible writing groups, pushed me to try other forms of social media in order to better communicate with other writers, and have shared and promoted my writing on a weekly basis. You write about being selfish – you are anything but. You are very giving, caring, attentive, and empathetic. Thank you for all you’ve already done! Thanks so much for including me in your writing this week. I only hope I can return all the awesomeness you’ve already given me in some way. Hi Becca! CDs from high school are awesome! Finding mix’s have to bring back all kinds of memories. What fun. I did read your Sunshine Blogger post! I love how you describe your favorite humans and wanting to spend the next 50 years with them. I think the Sunshine Blogger Award is a lovely idea! Looking forward to seeing what your nominees come up with. The little girl telling you her favorite color is purple made me smile…..a lot. The energy you create when you write things like this post is tremendous. Keep doing what you’re doing Angela. I’m so glad you liked it, Dan. She’s a pretty special little girl. Thank you! Thanks, Shaun! Keep doing what you’re doing–I enjoy reading your stuff. Wow! You really unleashed a boat load of good in this post, Angela. I am a big proponent of sharing and focusing on what is good. I like to do it through humor, but occasionally I mix it up and add some serious components. Here’s a post.I wrote last Thanksgiving when gratitude is on everyone’s mind. I believe gratitude is the key to a happy life. It keeps me from envy and greed – most of the time. Thanks for sharing your goodness. It’s good to share what you’re thankful for in any way Angela!!! Thanks, Forrest. That’s exactly right–doesn’t have to stop the wheel to give us a chance to look around! And I love your Arab post! Thank you for sharing the story of a pup doing his part. What a great list, Angela. For me, it’s my walks in the countryside or local parks, although I prefer the countryside as we can get away from the hustle and bustle of everything. It gives me time to recharge and process things from the week, or to just turn-off! I often need to remind myself of the things I should be grateful for. I’m very lucky in the grand scheme of things, when life could be so much different. Walks are amazing ways to clear your head. Thank you so much for sharing what makes you feel grounded and brings you joy. It’s the little things we take for granted isn’t it! Love this post. I like the ‘five minute miracle’ idea! Here’s one I wrote a few weeks ago which I really enjoyed writing. Fantastic! I love your list. The five minute miracle is sort-of amazing. Thank you so much for stopping by and adding your link. I enjoyed reading what makes your day! What made me smile today… I got on the bus (in my wheelchair) which can sometimes be a tricky manoeuvre when a lovely older lady started chatting to me on the journey about access and how things are improving yet still need improvement. Her understanding and honesty made me smile. Your comment made me smile! I hope you (and I) meet a lot of older ladies, or anyone really, that do just as she did. In fact, I hope I can be like that lady when I chat with a stranger on a bus or wherever I happen to be. Thank you for sharing your thought, I love it. Angela, this is such an awesome idea. I’ve achieved a few little accolades for my writing/blog lately and I think I should do a post about them! I love the five minute miracle idea! Congratulations on the kudos! You should do a post on it. I look forward to reading it! Oh, Emily–such a thoughtful post. Thank you for sharing. While I loved the weekly thing, I love this idea even more! My recent moment that made me smile – Last week, I was chatting with hubby & the eldest in our driveway whilst we waited for our cat to do his thing (we take him out on leash). We noticed a bunch of dragonfiles buzzing about – suddenly, one landed on my left hand! We all froze and watched it flex its wings a few times before taking off. So frelling cool! Fantastic brush with fame! I loved Bewitched too. Why Samantha loved Darrin, who seemed like such an angry doofus, is beyond me. But, she was such a joy to watch on TV. Angela, thanks for the opportunity to share awesomeness! Here is my list 1) finding a blogging soul-mate like yourself and 2) finding myself on your “blog-awesomeness” list and 3) my recent reconciliation with my ex after 30 years (of course, I had to blog about it – the post is going live this evening at drallisonbrown.com). Thank you for being you! I’m thrilled that our paths crossed! What a thoughtful, kind comment. I love our connection and look forward to reading your blog. You bring new insight and ideas maybe in line with my own, but in a different context. What a gift! I enjoyed your story about the reconciliation with your ex. Courage isn’t always on the battlefield, sometimes its in the simplest of actions–like forgiveness. Thank you! Spreading more awesome is always a good thing. Here’s my entry: a beautiful trip into the woods and delicious, fresh from the source, free water. A lovely reflection on a walk among the trees and fresh water! I know I take water for granted, but I love how you respect it and found joy in finding it (again). Thank you for stoping by and sharing ! I love this idea! It’s so beautiful to be able to look back at the all the goodness that’s in our lives. I think I will try to do a monthly round-up of awesome moments. Thanks for the inspiration! Thanks, Julie! I sincerely enjoyed your water story! What a fantastic reflection on the whole experience. I loved how you took a step back to think about why this particular thing got your goat so-to-speak, and then took the time to find the gratitude and the grace in the moment. For the record, I definitely think four days without water would make me a little. . . cranky (to say the least). But you’re absolutely right–there is a solution, we are lucky to have what we have, and it’s a gift when we get a chance to see the whole thing from a totally new angle. Thank you so much for sharing! I hope you do decide to share more of these kinds of stories on your blog and your Instagram feed. Truly, little things can mean a lot! Thank you for reading it, Sydney. Of course, I hope you stop by anytime the spirit moves you. And I’m so glad you’re sharing the good you see over at http://antipodalpull.com. Ahh the gift of perception! Excellent question! I’ll have to give it more thought. I did make a decision recently that released me from the past. I feel a bit at loose ends as I look into the future, but it’s a good feeling! Maybe the moth truly was a messenger. I love these kinds of posts, Angela! Not only to write them but to read them. I think we get enough attention for drama type posts and positive ones should get double for the good they do! My latest happy moment was being sent the proof for my first recipe contribution to an outdoor recreation online magazine I had set a goal for last year! Wahoo for me! I love that you attended National Night Out last year, I am working to make more connections in my neighborhood, as well. I think getting to know your neighbors is the most patriotic and community building thing you can do. I re-read your post and was again struck by how warm my heart felt when I reached the end. You are a lovely and remarkable woman.